Oklahoma Catalyst held the first ever OK-WISE Conference on September 13 and 14. Our Director of Strategy, Claire Robison, spoke on the Women Impacting Startups Panel. Our data scientist Alanna Riederer spoke on the Women Impacting Technology Panel. 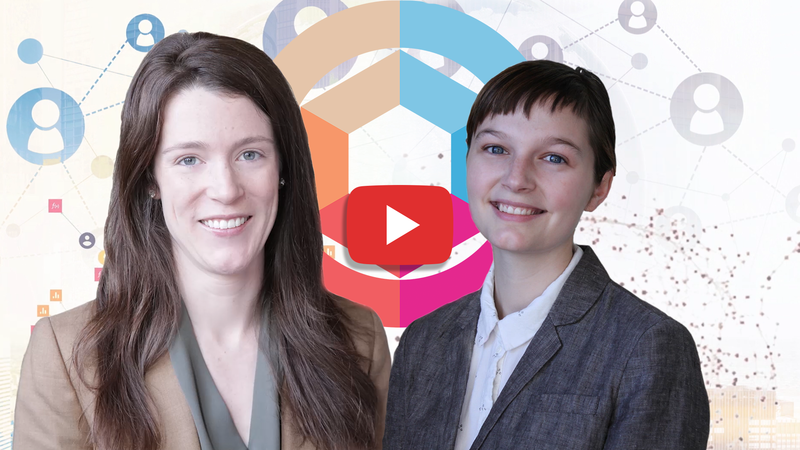 In the video, Alanna encourages students to get involved in research as early as possible, and Claire expresses admiration for the supportive entrepreneurial community. Claire and Alanna shared the stage with women leading in hi-tech careers all over Oklahoma. The Oklahoma Catalyst Programs offer new ways for entrepreneurs and small business owners to connect, receive training, and find mentors in Oklahoma. Claire also attended the OKC Innovation District Kickoff event on September 25 with our Chief Operating Officer, Clive Higgins. They really enjoyed the speech from Katy Boren, the new CEO/President of the district. She included a story of how Yo-Yo Ma drew a series of overlapping circles to illustrate his vision of where creativity and innovation come from (the intersection of different disciplines and beliefs), and how it helped inspire the new OKC Innovation District logo. This is certainly not an exhaustive list of all the exciting things happening with innovation in Oklahoma. A new website called The Tech Events Network recently launched in an attempt to keep up with all things tech in the area.